If you’re currently in the market for a quality used car in the Eatons Landing area, we’re determined to become your next go-to resource for all your automotive needs, from browsing to buying and beyond. Below is an overview of highlights you can expect during your experience here at our used car dealer near Eatons Landing. Whether you’re on the lookout for a reliable sedan, an exciting sports car, a versatile SUV, or a dependable pickup, our trusty sales staff is here to help you locate whichever vehicle fits in with your particular needs and interests. While you’re browsing over the wide selection of used cars, don’t forget to check out the Mini Certified Pre-Owned vehicles we have in stock. 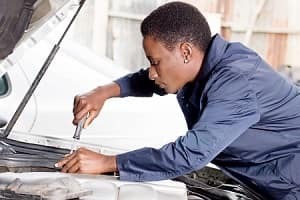 This certification means that these high-quality vehicles are less than five years old and have been inspected in accordance with the highest of standards. When you’ve found your next used car, you’ll meet with a friendly, knowledgeable member of the finance team who will sit down with you and discuss your particular situation. This information will be taken into consideration in order to find you a suitable rate and plan that make the most sense for you. As an added convenience, our service center also gives you the opportunity to schedule your next appointment online. Eatons Landing is an area located within Anne Arundel County, MD. Eatons Landing is situated 2.7 miles southwest of Annapolis, the county seat. The area has plenty to do for the entire family, such as the Hammond–Harwood House. This Annapolis historic house museum was built in 1774 and is one of the few British colonial period houses left in the country. There’s also the Thomas Point Shoal Lighthouse in Chesapeake Bay that was built in 1825 and is available for tours. While you’re out exploring the area, feel free to pay our Eatons Landing used car dealer a visit to peruse through our extensive selection. 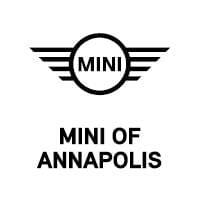 As the above information makes clear, MINI of Annapolis is all revved up and ready to supply you with a comprehensive automotive experience. Contact us or come down to schedule your test drive today.